The County has a dedicated Junior Organiser, Pat Jones, who is responsible for the overall organisation and running of the junior section. 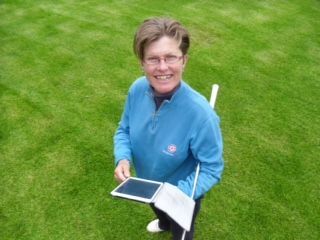 PGA Professional, Alison Johns, coach to our Chicks and older girls, offers great opportunities enhanced by the fantastic facilities at Woodhall Spa, the National Golf Centre. In this section you will find information on junior girl county competitions and matches, as well as Chicks activity and tour dates. We're here to help in any way that we can. Don't hesitate to get in touch. Our County Girls' Captain this year is Courtney Martland from Lincoln Golf Club. Her Vice Captain is Izzy Haughton from Greetham Valley Golf Club. Both girls have been part of the Lincolnshire Junior Girls section for a number of years and deserve their roles representing their County this year. We work hard but have fun too!! 2019 fixtures have been posted - click on the Fuxture tab. Coming soon to Lincolnshire -Girls Golf Rocks. Further information will be posted on the website and Facebook pages. Venues: Elsham Golf Club 11th May, Cleethorpes Golf Club 12th May, Lincoln Golf Centre 16th May & Belton Woods Golf Club 18th May.